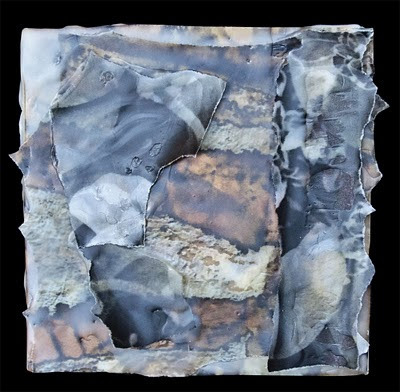 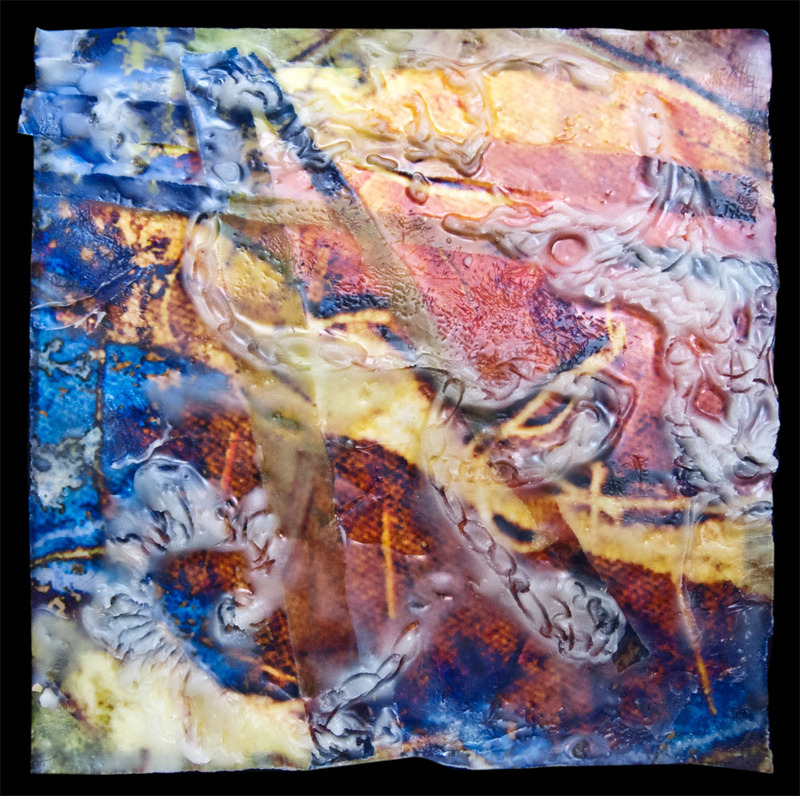 These studies include digital prints on alternative surfaces with encaustic. 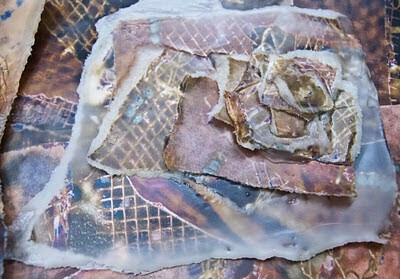 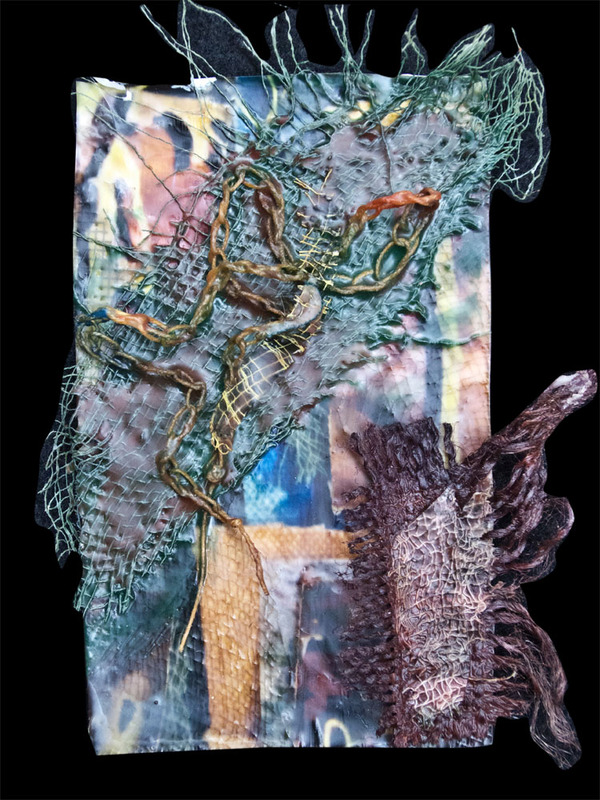 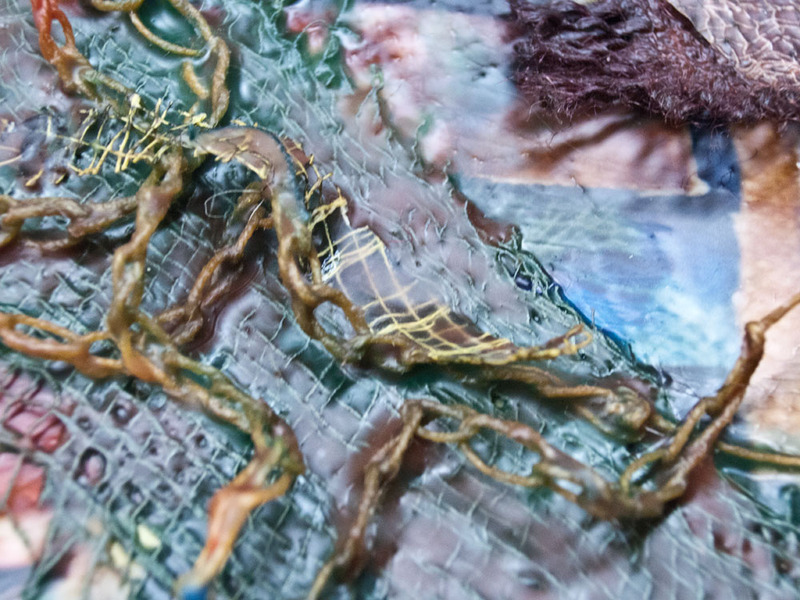 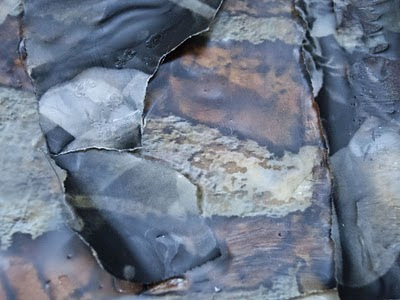 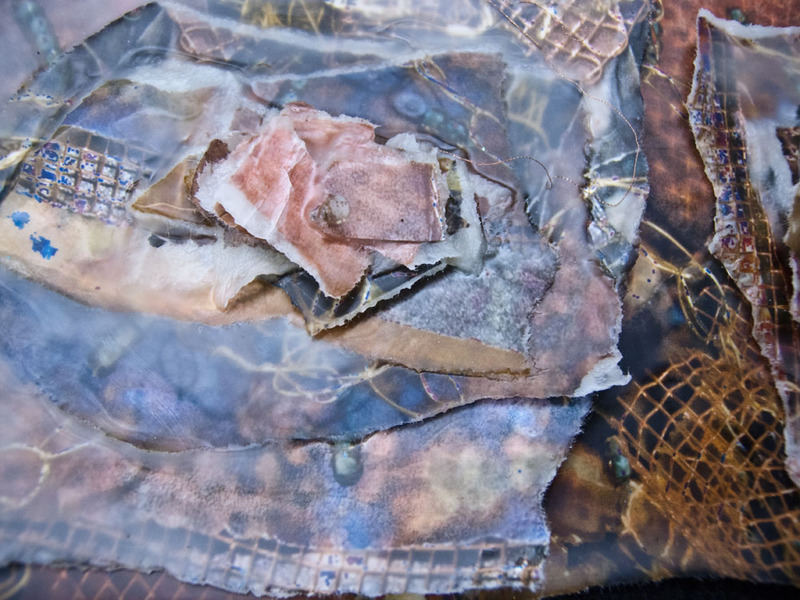 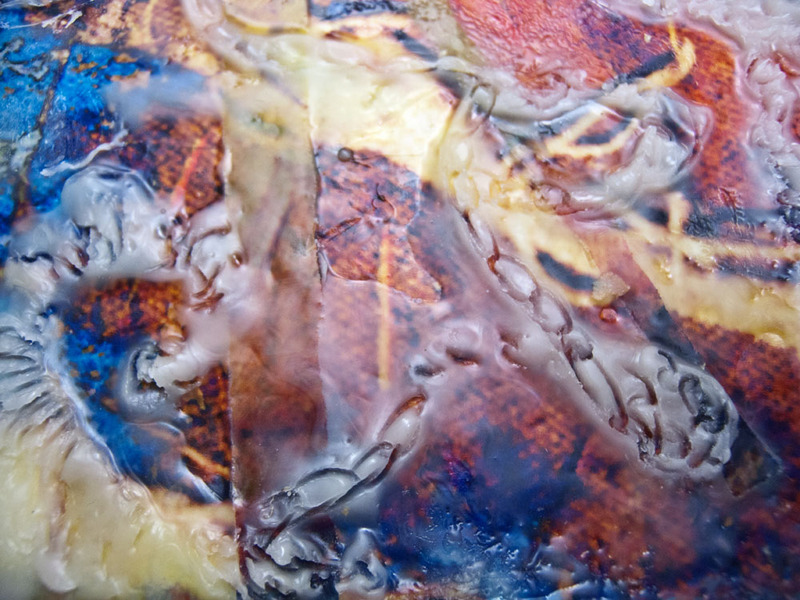 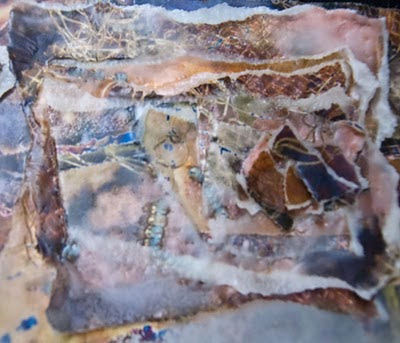 My inspiration is observing the effect of combining digital prints and other elements to build textures with the wax. 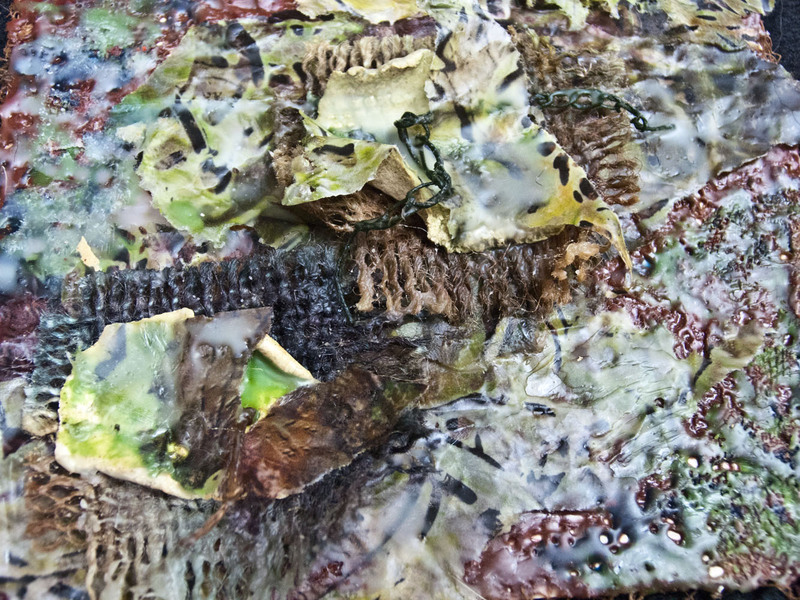 In the previous post the base of the encaustic collage was paper clay and the base surface of the clay was fluid. These compositions are built on Ampersand clayboard which is flat. 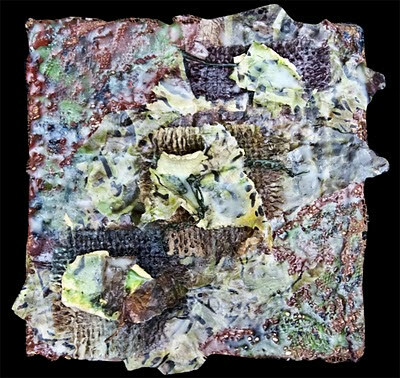 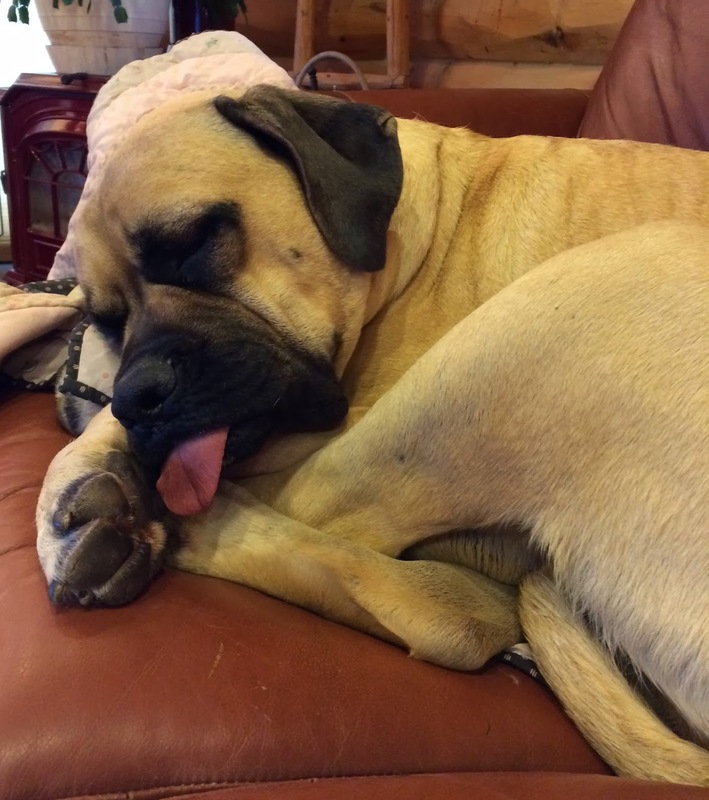 Descriptions accompany each image.